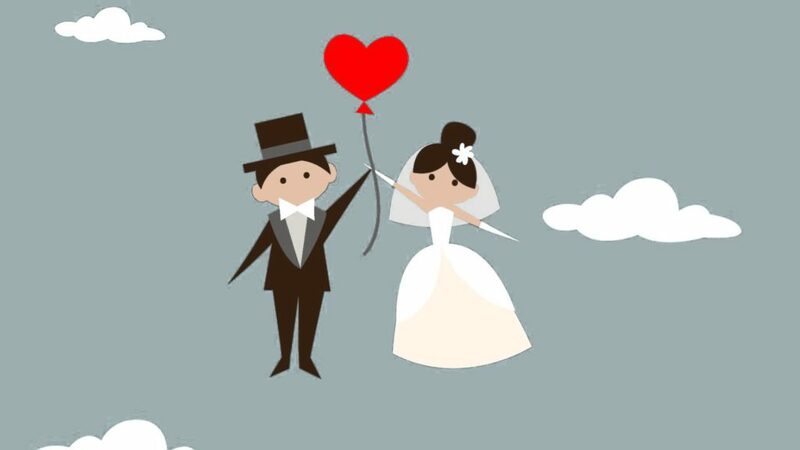 Getting ready for your big day, Wedding Card Experts welcome you on board. 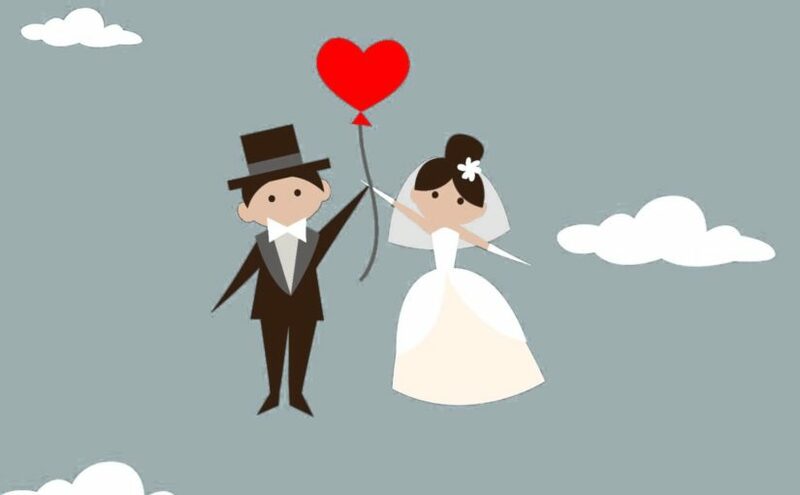 Wedding Invitations are not boring anymore. If you are looking for something special or have an idea of your own. We are happy to serve you with a variety of papers, colors, shapes and printing. 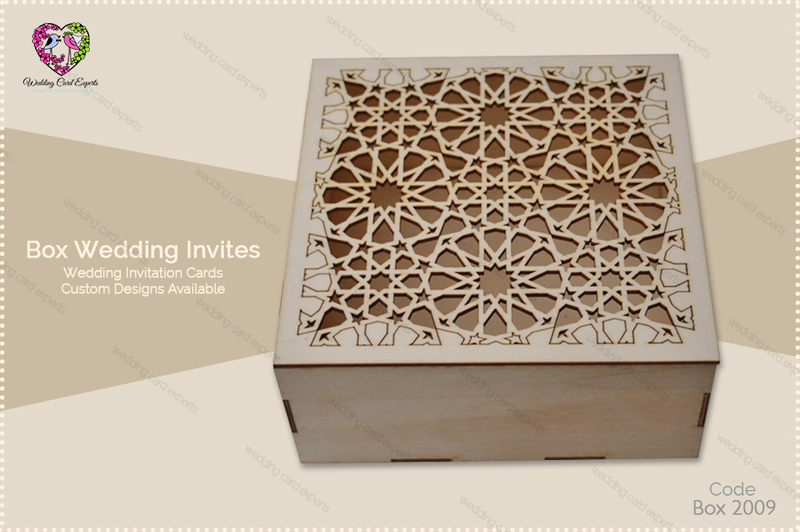 Laser cut Invitation Cards, as per the name it’s clear that it involves laser cutting. 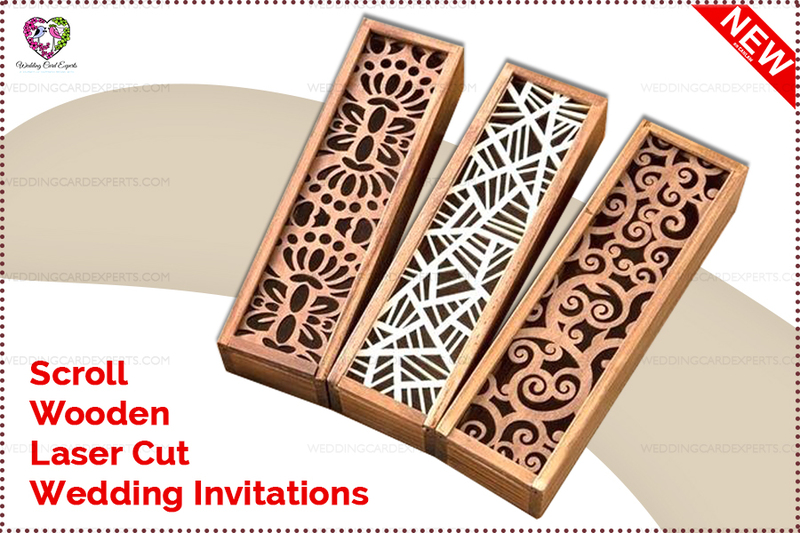 Laser cutting is the technique which is used in large industrial firms for molding, cutting, making and designing big things by using laser cutting technology. What happens when we blend creativity and technology? The answer is “wonders”. 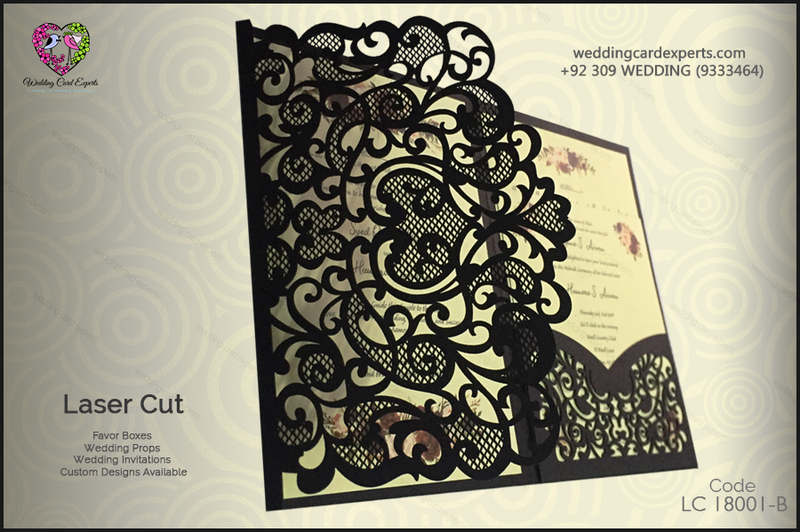 Wedding card experts provide a wide range of laser cut wedding invitation cards. 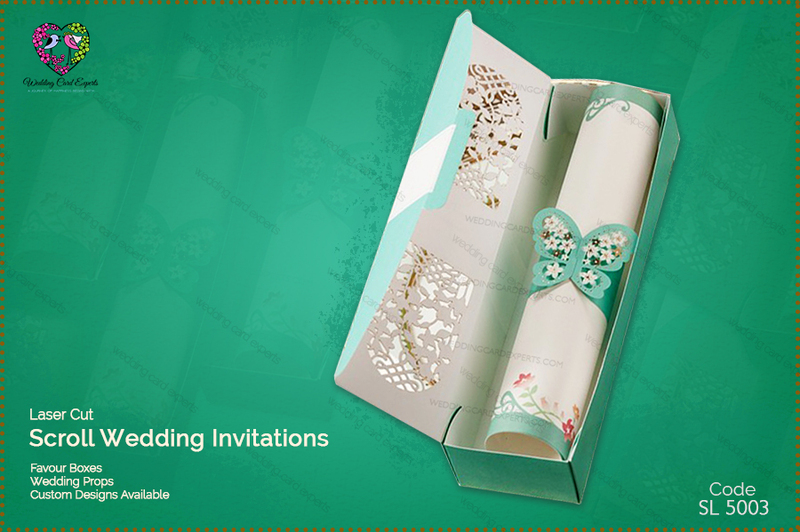 Laser invites can also be customized as per the desire of the customer. 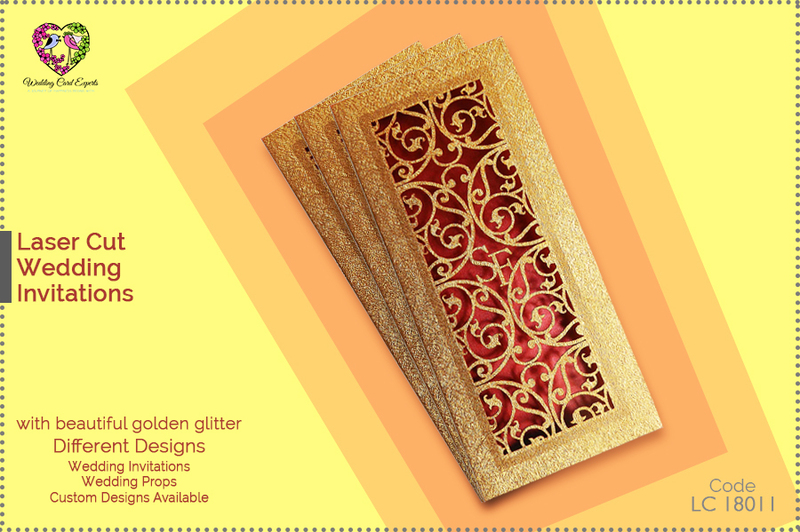 These cards are made on a variety of materials for example paper, wood, acrylic, steel, hard sheets etc. 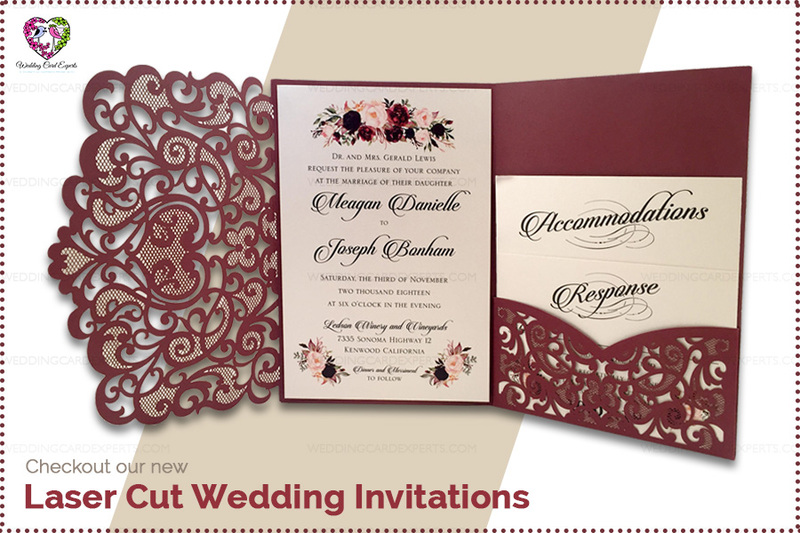 Laser cut invitation cards are in trend this year. 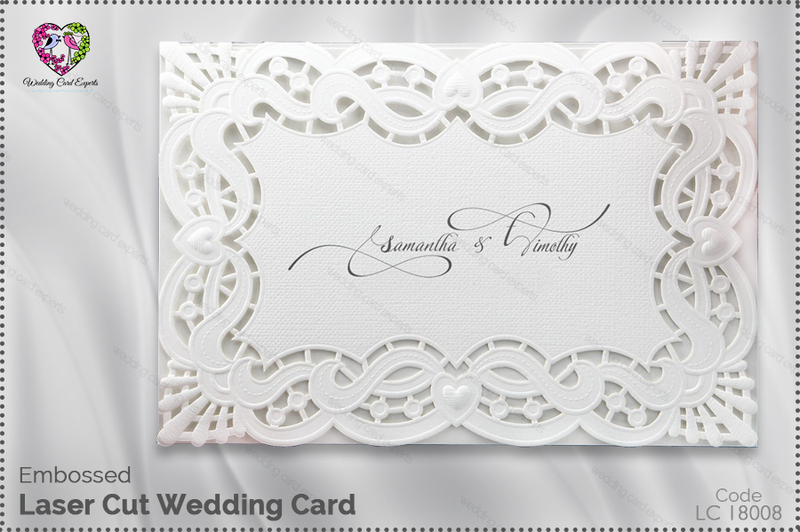 These cards are designed by our designer with so much dedication and devotion and the end result is so mesmerizing. 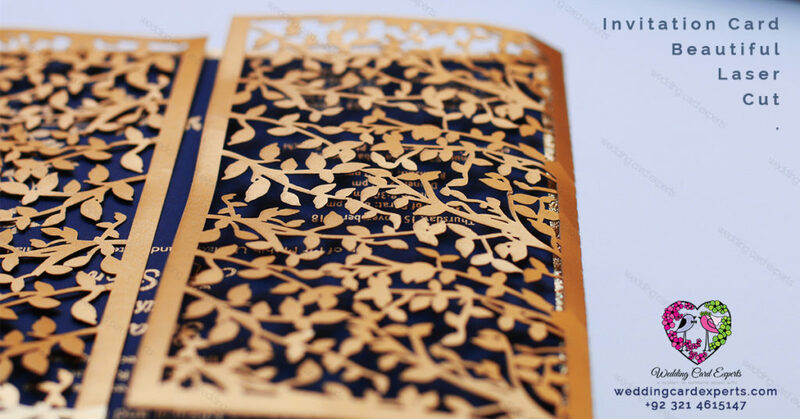 Laser cut cards are the beautiful blend of elegance and creativity which make them so beautiful and special than the rest. It is modern and brings out the smallest details with such neatness that it makes the eye candy. 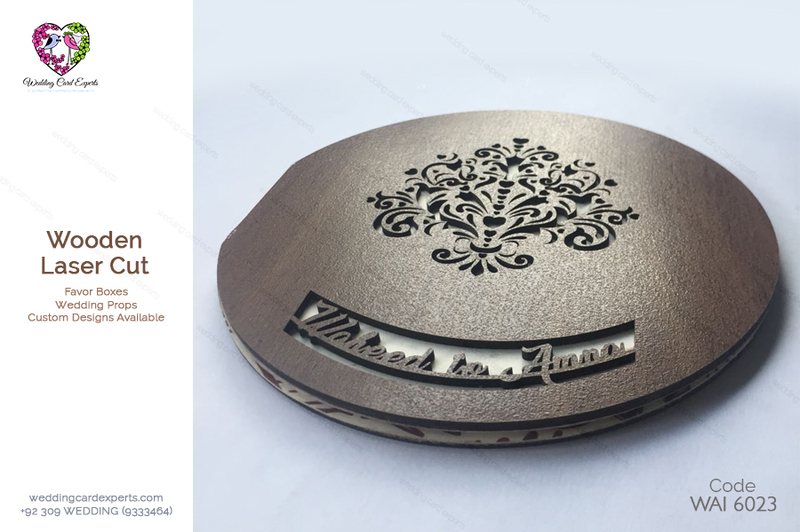 There is a different kind of laser cut wedding cards such as pocket laser cut card, grilled laser cut card, scroll box laser cut, favor box with a laser cut design, acrylic invitations and many more. 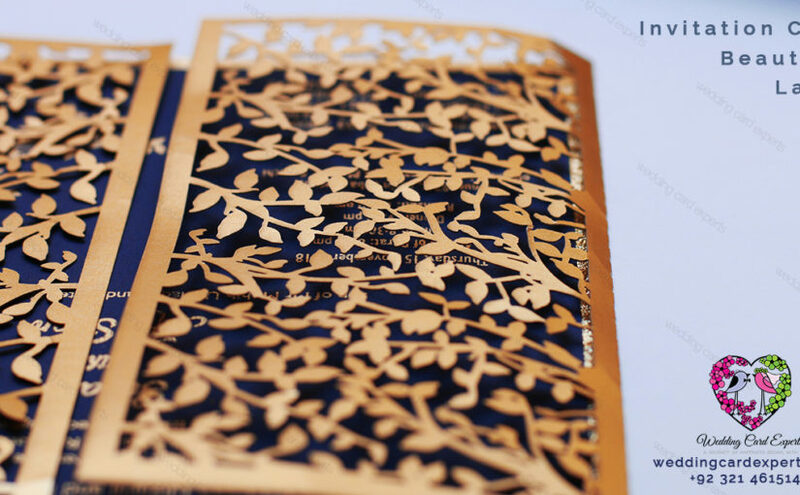 There is so much detailing and neatness in the finished card that it brings the luxury to it. 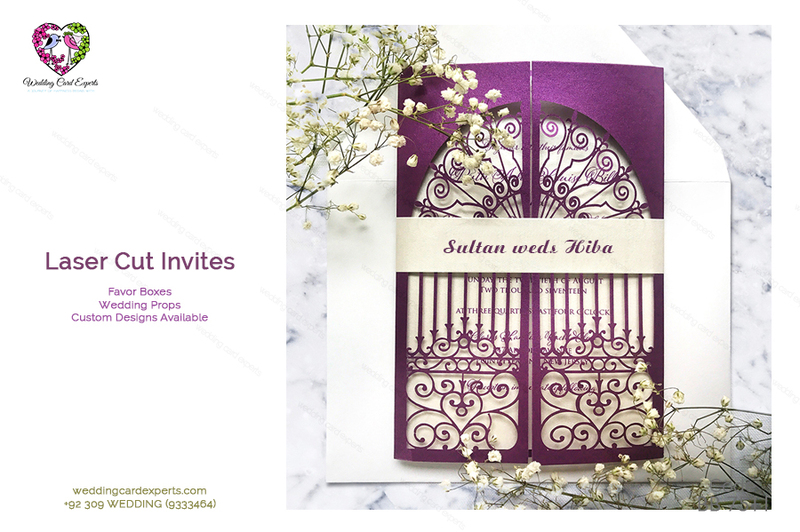 Visit our website or CONTACT US, see our wide collection of laser cut wedding invitation cards, choose your favorite and get them on your doorsteps. We deliver nationwide and across the globe. You can also get your cards customized. Contact us for booking your order and queries.